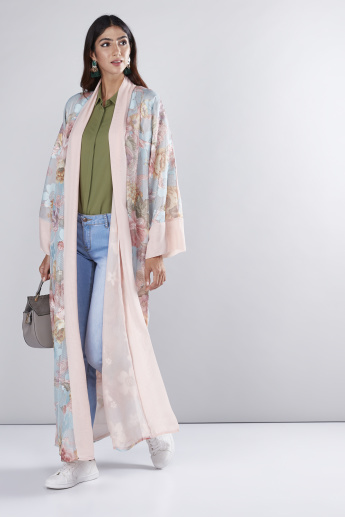 An elegant and beautiful addition to your outfit, this full-length abaya has long sleeves. 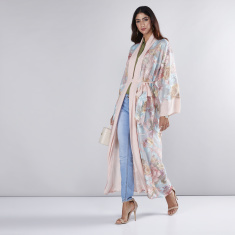 The impressive floral print along with the subtle texture sum to the look of the abaya. Moreover, the tie-up belt promises the desired fit.